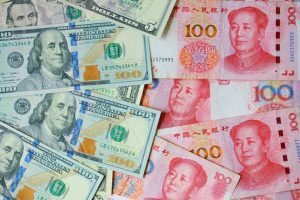 The market exchange rate between the North Korean won, the Chinese renminbi (RMB), and the US dollar (USD) has looked remarkably stable over the past few years. Particularly striking is its stability during the 18 months of sharp US-DPRK tensions followed by diplomatic warming, suggesting that some sort of stabilization measures seem to be in force. It would make sense to assume, because of the overwhelming predominance of China among North Korea’s trade partners, that the regime somehow maintains a currency peg to the Chinese RMB. Yet, looking at market exchange rate data, we find that the won actually fluctuates more against the RMB than the USD. This finding is counterintuitive, but it isn’t wholly illogical or impossible to explain. On the face of it, the data doesn’t prove that the won is pegged to the RMB. We maintain, however, that given the North Korean context, a peg to the RMB still makes the most sense, and that the data doesn’t disprove it either. Whatever factors may be at work, North Korea’s exchange rate stability implies that the regime has important tools at its disposal to ease the effects of economic sanctions. Sanctions could have caused hyperinflation, for example, with social unrest following. To date, this hasn’t happened. In general, North Korea’s exchange rate stability suggests that the country’s economy is more resilient towards outside shocks than many believe. Regardless of whether or not the won is pegged to the RMB, the exchange rate stability signals a somewhat puzzling calm, rather than panic, within North Korea’s economy. To understand these numbers, one must first consider what exchange rates actually mean in North Korea and how they function. Very little is known about the basic operations of the North Korean central bank, and the regime’s main channels for monetary policy. Moreover, the term “exchange rate” is itself complicated in the North Korean case, since two systems exist. One is often known as the official rate, which is associated with the so-called “foreign currency won” (FX-won)—a fixed unit of accounting from which foreign currency prices are calculated in foreign currency shops, hotels and perhaps also between enterprises. The exchange rate for this unit is released daily by the Foreign Trade Bank of the Democratic People’s Republic of Korea. When you pay for goods or services in foreign exchange shops, the price is given in this currency, and the shop attendant uses a calculator and the store’s Foreign Exchange Rate table (also issued daily) to give you the price in the foreign currency you want to pay in. The other rate, often misunderstood to be the “black market rate,” is North Korea’s actual foreign exchange rate, as set by the market. In fact, it is not a “black market” rate at all. It is simply the rate at which real paper Korean People’s won (KPW), the currency of North Korea, is now exchanged in both markets and state-owned retail outlets like the Kwangbok Area Shopping Center in Pyongyang. In other words, this is the actual exchange rate used in the economy, and the only one that really matters for private citizens and traders outside of the state enterprise system. In this article, “exchange rate” means the market rate of the won to foreign currency, i.e., the actual rate at which real paper KPW is exchanged. Perhaps the most striking feature of the KPW is its aforementioned stability, which is perplexing for many reasons. Even setting the issue of sanctions aside, maintaining a high degree of monetary stability appears to require the government to make and execute some form of monetary policy. Determining the exact monetary policy tools and mechanisms that North Korea has is difficult due to the secrecy of its rules and procedures. In theory, given that North Korea is nominally a centrally planned economy, the central government should set the exchange rate. Monetary policy would then be conducted by the state simply forcing financial institutions such as banks—which don’t exist in North Korea in the same way as they do in most other countries—to exchange won for foreign currency against a rate set by the government. However, the government has long since given up most of its attempts to force the economy to follow its plans and fixed prices. And it has failed in its efforts to stamp out the floating exchange rate set by the market by simply forcing people to follow its exchange rate. Therefore, for North Korea to maintain a currency peg today, the government’s monetary institutions would have to play by the logic of the market, rather than directing it by force. This would require the central bank to have enough supplies of foreign currency to defend a peg. They would have to acquire this by selling and buying foreign currency for KPW to make sure that the market value of its currency versus foreign currency remains at the pegged, target level. To see how difficult this would be, consider the International Monetary Fund’s (IMF) recommended benchmark proportions for foreign exchange reserves. For an economy like North Korea with a closed capital account, the IMF recommends that countries maintain foreign exchange reserves equivalent to 12 weeks of imports—around $750 million as of 2016. The North Korean Central Bank would use these reserves to defend the won on the domestic market, and ensure that imports can be paid for. This is a sizable amount, and it is unlikely that the North Korean central bank holds such a large amount of foreign reserves. Most likely, the North Korean government is using a combination of several measures to keep the exchange rate stable. These may include a moderate price ceiling on foreign currency, perhaps by ordering currency traders to stay within a certain exchange rate span, or reducing the size of the won-denominated loans to state-owned enterprises (SOEs) to keep the supply of domestic currency down. Because SOEs likely hold the vast majority of the country’s foreign currency, and particularly of USD, it’s also possible that the market exchange rate wouldn’t move all that much even under geopolitical duress. If SOEs are the main actors whose actions have a large enough impact on the exchange rate, then the overall market demand for foreign exchange would not change very much regardless of what private citizens do. This is likely part of the explanation for why the US-dollar has remained so stable even during geopolitical tensions, when it would be reasonable to expect a spike in the value of the US dollar as citizens rush to exchange their KPW for foreign currency in anticipation of future shortages. There simply isn’t enough USD in circulation in North Korea for the market price to be impacted by the sentiments of ordinary people. Moreover, it cannot be ruled out that the government maintains an artificially stable KPW-USD exchange rate by sheer force—for political reasons—to present an image of resilience through sanctions. 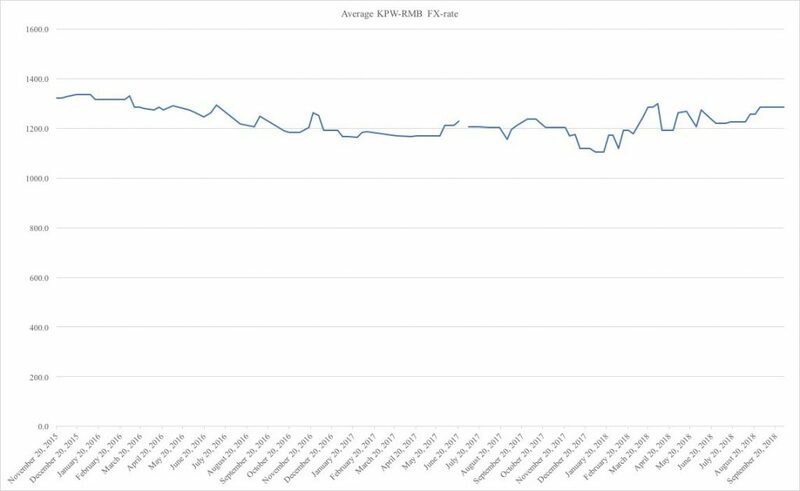 Figure 1: Market exchange rate for KPW-USD, late 2015—latest observation. (Data source: Daily NK) Click the link to view a larger graph. The RMB, too, has remained remarkably stable through the past year and a half of sanctions and tensions. As we shall see, however, the RMB has actually fluctuated more in percentage terms than the USD in North Korea, a surprising observation which we elaborate on below. For North Korea, maintaining a peg to the RMB would make the most sense and represent the most feasible option. It is, in fact, the only sensible and reasonable choice among possible currencies to peg the won to: around 90 percent of North Korea’s trade, in normal times, occurs with China. Given Beijing’s push over the past decade to internationalize the RMB, there is every reason to believe that most Sino-NK trade is not settled in USD. Besides official trade, smuggling is likely to be conducted in RMB and for a good practical reason: the highest denomination of KPW is worth less than $1 USD, so it is impractical to use for all but the smallest of spot transactions. Indeed, most market transactions of any size inside North Korea are likely to be conducted in foreign currency for the same reason, and the RMB would be the natural choice given the relative ease with which it can be obtained. Yet, studying the data, we find little immediate quantitative evidence for the won being pegged to the RMB. The won, in fact, fluctuates more toward the RMB than it does to the dollar, judging by the exchange rate data at hand. 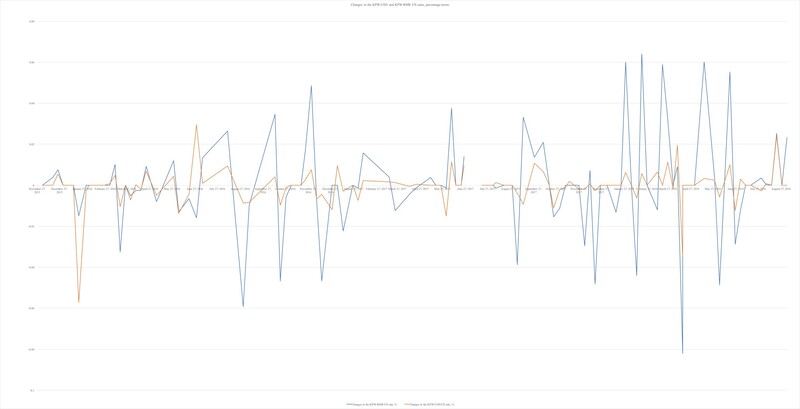 Figure 3: Market exchange rate changes, in percentages, late 2015—latest available observation. (Data source: Daily NK). Click the link to view a larger graph. On the surface this is counterintuitive. If the KPW is pegged to the RMB, why does the KPW-RMB rate fluctuate more than the KPW-USD-rate? Is the won pegged to the US dollar and not to the RMB? These fluctuations alone, however, are not enough to conclude that the KPW is pegged to the USD. There are a number of ways to explain the comparative stability of the USD versus the RMB. The market for USD is likely significantly less liquid than the RMB market. Neither the state, enterprises or households likely possess sufficient quantities of dollars to make a peg feasible. This also means that there are fewer FX trades of USD for KPW and therefore far lower trade volumes that are less prone to sudden/seasonal spikes in demand; this, too, may explain the lower volatility of the US dollar. USD and euros are primarily useful in trade with Russia, which is tiny in overall volume. Much of this trade is conducted between North Korean SOEs and their Russian counterparts. And that means that many dollars and euros inside the North Korean banking system likely never enter the household economy. They are likely a far rarer commodity and far more difficult to get hold of than RMB; less easily used in smaller-scale international trade (smuggling between individuals) and thus in far less demand among traders. They are less useful for enterprises or individuals that have ongoing trade relations with Chinese counterparts selling legally obtained supplies, equipment, and consumer goods, especially since KPW is not convertible outside North Korea. The lower volatility of the USD does not imply that the KPW is pegged to the dollar. The overall stability of the KPW-RMB exchange rate, given the context outlined above, still suggests that the KPW is somehow pegged to the RMB, even though the RMB fluctuates more than the USD. At the end of the day, because of the North Korean government’s secrecy about its monetary policy procedures, we cannot know for sure. Whatever tools the government may be using, they appear surprisingly efficient given the stability of the exchange rate.